Flipkart is giving 40% Discount for a very limited time period on Adidas Galaxy M Running shoes, So, a Good chance to buy Branded Shoes with Net 40% Discount. 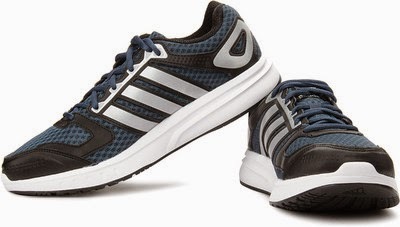 Regular price of Adidas running shoes is 4799 Rs in India online and offline both, but currently a Discount offer is going on with 2879 Rs from Flipkart Deal offers. For more Branded Shoes discount offers and other deals updates, Subscribe All India Coupons below via email.